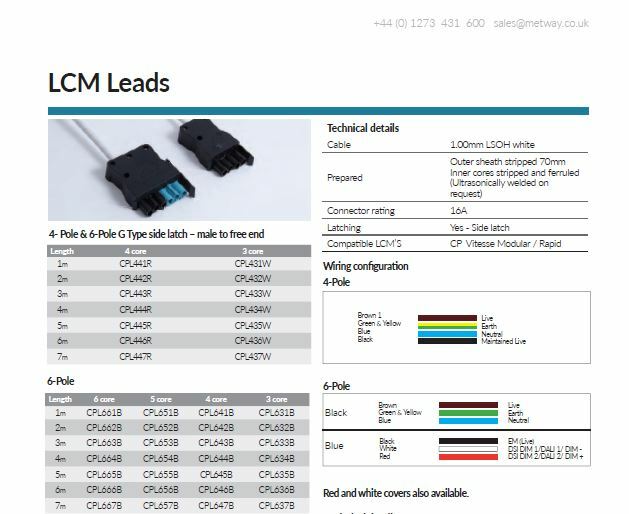 Metway is able to supply all variants of compatible “Lighting Control Module” leads for all major manufacturers. Our on-site production facility and large stockholding ensure a fast turnaround on all products, which are fully factory tested prior to dispatch. Metway 4 Pole & 6 Pole GST side latch leads are male to free end and available in various lengths. Please refer to datasheet. They are compatible with Metway Vitesse/Rapid lighting control modules. Please see datasheet for part numbers.